We had a great time on Saturday's half day cupcake baking workshop. The cake making class was attended by four passionate bakers. 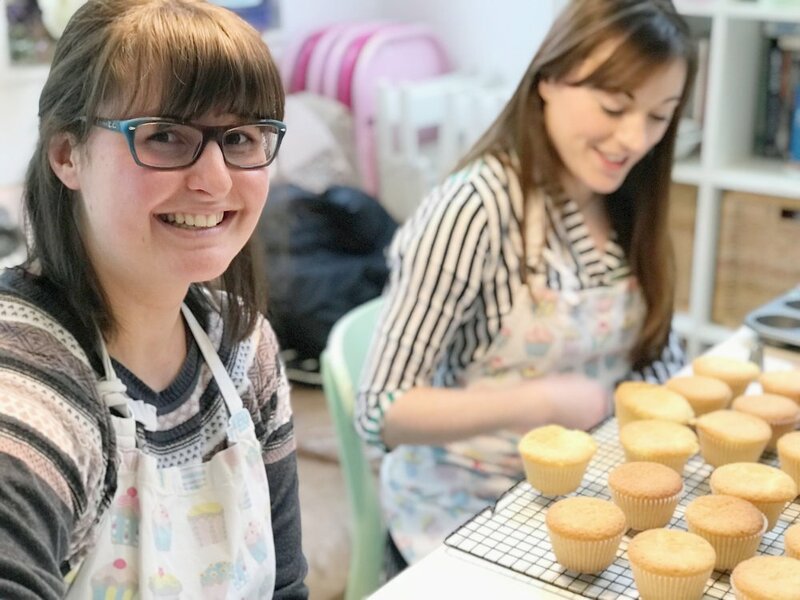 Tina and Sophie were old friends who shared a passion for cake baking. Sophie treated Tina to the class as her birthday treat. They both work in theatre so were pleased to find a date that fitted in with their busy schedules. Tina will soon be off on tour with world famous celebrity Peppa Pig! The other two attendees were Irit who is a talented pianist and singer and Anam who works with children with special needs. They were all very focused which ensured they got fantastic results. Their cupcakes came out perfectly light and fluffy and they soon picked up the various cake decorating techniques. They loved doing the rose swirl and as it was a small class I was able to work individually with each of them. This ensured that they all managed to create perfect buttercream swirls. They loved getting their hands on our huge box of sprinkles and edible decorations. The glitter was an especially big hit. 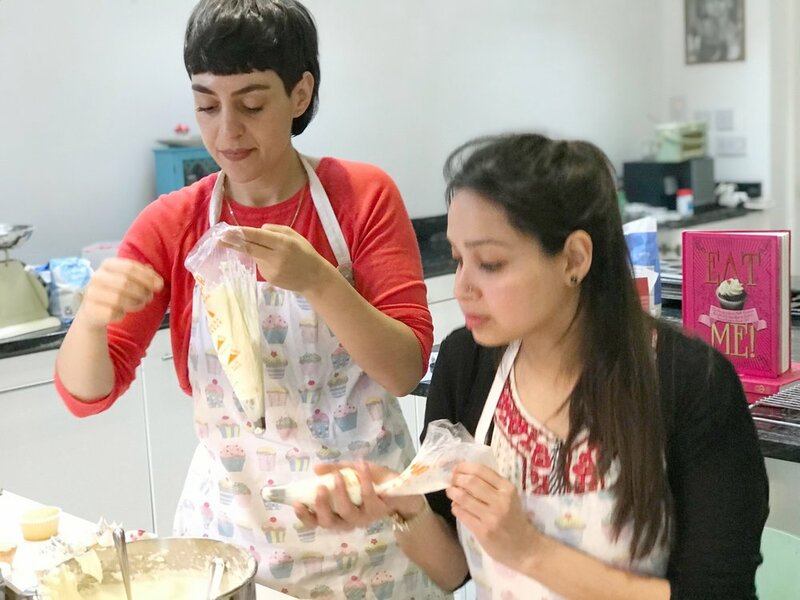 At the end of the 3hr session they had a great sense of achievement, each leaving the cake making class with a box of a dozen delicious cupcakes to enjoy with their friends and family.